Boston Harborfest 2015 is a renowned festival that brings the history of the American Revolution into focus through reenactments, concerts, and walking tours. Presented by the Greater Boston Convention and Visitors Bureau, Harborfest begins with an opening ceremony on Wednesday, July 1st, and continues through Sunday, July 5th. Check out the Boston Harbor Sunset Tall Ship Cruise, setting sail daily at both 6:00 and 6:30 pm. Castle Island, at 2010 William J. Day Blvd., boasts a wealth of activities from which to choose. There’s Pleasure Bay, with a lovely beach and spectacular views of the city; there’s the Harborwalk, plus a fenced-in playground for little kids, and Sullivan’s, a restaurant famous for its fried clams and ice cream. And then there’s Fort Independence. The fort overlooks Boston Harbor’s islands. On July 4th, the USS Constitution – the world’s oldest commissioned naval vessel still afloat — will come to rest at the fort, just as it does every year. Upon reaching Fort Independence, a 21-gun salute will be fired from the great ship in commemoration of the struggle for independence. You can even watch the July 4th fireworks from Castle Island, as they light up behind the city skyline. Fort Independence and Castle Island are on the State and National Registers of Historic Places, and charge no admission fees. On the occasion of the 32nd anniversary of the dedication of the South Boston Vietnam Memorial, all South Boston residents are invited to a special re-dedication ceremony, set to take place on Sunday, September 15th. This week we have honored the memory of those lost to the horrific attacks of September 11, 2001. Let’s continue to pay tribute to South Boston neighbors and loved ones who perished before their time, in this case, in a war across the globe. Thirty-two years ago the South Boston Vietnam Memorial Committee realized its goal: They unveiled a memorial to 25 fallen colleagues, individuals who were and continue to be mourned and missed. Indeed, South Boston’s memorial structure was dedicated even before the National Vietnam Veterans Memorial in Washington, D.C.
On Sunday, at 10:30 am, the day’s activities will get underway with a Memorial Mass at St. Brigids Church at 841 East Broadway. At 11:30, in Medal of Honor Park at 775 East First St., the rededication ceremony will begin, featuring guest speaker Lieutenant General Robert E. Milstead, Jr., Deputy Commandant, U.S. Marine Corps. Also in attendance that day will be families of the 25 killed in action, and surviving veterans of the war in Vietnam. “If you forget my death, then I died in vain,” reads the inscription on the Memorial. Together we can make sure each of them is remembered and celebrated. Blog post by the Joyce Lebedew Real Estate Team. On Sunday, March 18, the proud participants of the Allied War Veterans Council-sponsored parade will take to the streets in honor of St. Patrick’s Day. Floats, marching bands and even local politicians will be part of the procession that winds for three miles through South Boston, highlighting the neighborhood’s Irish heritage. The parade begins at 1:00 pm on West Broadway, near the “T” station. The route travels to East Broadway, then down East 4th to 5th Street, and along Telegraph and Dorchester Streets, ending at Andrew Square. To catch a good view of the festivities, claim a place on Broadway. You’ll have more than two hours of music and other entertainment to keep you engaged, with plenty of kid-friendly amusement (clowns, Star Wars characters, etc.) as well. St. Patrick’s Day, an official holiday celebrated on March 17th in the Republic of Ireland and Northern Ireland, commemorates the death of Saint Patrick, a saint who appeals to both the Roman Catholic and Protestant Irish communities. Saint Patrick is a patron saint of Ireland who is said to have used the three-leaved shamrock as a visual means to explain the Holy Trinity, upon the introduction of Christianity to the Irish. St. Patrick’s Day is now pretty much a secular celebration of Irish culture observed throughout the global Irish diaspora. Over 100 cities across the United States hold St. Patrick’s Day parades. U.S. News and World Report has rated South Boston’s as the number one St. Patrick’s Day parade in the entire country! South Boston’s St. Patrick’s Day celebration is even related to colonial history. On March 17, 1776, the Continental Army, under the command of General George Washington, forced the British to end their occupancy of the city. The army troupes had amassed cannons on Dorchester Heights, frightening the enemy, who then left town. As the story goes, the password for anyone trying to pass through the Continental lines was “St. Patrick.” And, in 1901, the St. Patrick’s Day Parade held here explicitly marked the 125th anniversary of the ouster of British forces from Boston. Close to a million spectators and participants are expected to take part in South Boston’s parade this year. And, starting at 2:00 pm, following the same route, there will be a St. Patrick’s Day Peace Parade — a people’s parade for peace, equality, jobs, and social and economic justice coordinated by the Greater Boston chapter of Veterans for Peace. Be sure to get in on the fun of both! Photo by ID 090315-N-8110K-011 of the US Navy. Art in public places may focus our attention on history, heroes, beauty, whimsy, controversy or even possibilities for the future. Boston’s Art Commission is charged with overseeing the commissioning, procuring and care of public art for the city, and some of that art lives right here in South Boston. “Aqueous Humour” is a set of steel and granite interactive sculptures in South Boston Maritime Park. Award-winning artist (and professor at Rhode Island School of Design) Ellen Driscoll completed the kinetic work in 2004. Mosaics set inside stainless steel wheels depict images of marine life and the fishing and shipping industries, both from contemporary and historical times. When passers-by spin the wheels, unanticipated combinations of images appear. The rotating circular forms of the sculptures refer to the wheels that drive cranes at the nearby Conley Terminal, part of Boston’s shipping port. A sculpture of Boston’s first Olympic champion, James Brendan Connolly, can be found in Columbus Park, near Old Colony Road. Connolly, a South Boston native, competed in the first Olympic Games of the modern era in Greece in 1896. The opening event of those Games was the “hop, skip and jump,” perhaps akin to the triple jump athletes do today. (Connolly seems to be landing a long jump in this bronze sculpture by Thomas Haxo.) He went on to win the same event at a later Olympics, before turning to writing. He was a correspondent during the first World War for the Boston Globe and other publications. He also wrote novels and short stories, and passed away in 1957 at age 88. The PaintBox program of the Boston Art Commission offers opportunities for artists to paint utility boxes within their own communities. South Boston has some creative and vibrant boxes as a result of this program, including a black and white one called, “Fizz,” by Rebecca Greene on East Broadway near the library, and one called, “Man Hole,” by Dan McCole, featuring the likeness of a worker on a ladder, locating the source of a problem. “Man Hole” is on West Broadway, just west of where it meets East Broadway. Check out the Boston Art Commission’s interactive map of public art throughout the city. Like a good mystery novel, the history of South Boston is full of intriguing twists and turns. From bucolic bliss to nucleus of opportunity for land-starved Boston, the peninsula has withstood tumultuous change over the past 400 years. The following includes a few early highlights, based on a detailed account of the era that appears in the Thomas H. O’Conners book, South Boston, My Home Town (1994). In 1635, accompanied by a hundred followers, 23 cows and heifers, three calves and eight mares, Reverend Richard Mather arrived at Dorchester, a Pilgrim settlement established in 1630. Dorchester was located on a peninsula known by the native inhabitants as Mattapan, south of present-day Boston. Directly across the water from Dorchester was another peninsula so narrow that it was reduced to an island at high tide. It was the site of a fresh-water spring shaded by “a magnificent growth of weeping willows.” According to O’Connor’s account, records show that inhabitants from Dorchester first came ashore near the beach now located at the foot of K Street in South Boston. The slender peninsula later became known as Dorchester Neck. Called Mattapannock by the natives, it was the location of “Pow-Wow Point,” an important ceremonial meeting place, and possibly a burial ground too, for the region’s native population. Shortly before the arrival of the Pilgrims, these native peoples were decimated by a horrific plague. In 1765, British Parliament passed the Stamp Act on the colonies of British America as a means of raising tax revenue. The act required outraged colonists to print publications and legal documents on paper carrying an embossed revenue stamp. Quantities of the despised stamped paper were stored at Castle William, the present-day site of Fort Independence on Castle Island in South Boston. Following the Boston Massacre in 1770, the 14th and 29th British regiments withdrew from Boston to the safety of Castle William, and at the time of the Boston Tea Party in 1773, a group of loyalists sought refuge there. In 1775 the American rebels forced the British to evacuate Boston. As they made their retreat, the British set ablaze the fortifications, which were subsequently repaired by American troops under Lt. Colonel Paul Revere. The date of the British evacuation, George Washington’s first victory of the war, is recognized as an official holiday in Boston and other parts of Suffolk County. Evacuation Day falls on March 17, coinciding with Saint Patrick’s Day. As if Southie didn’t have enough to celebrate that day! In 1803, a shrewd and well-connected group of Bostonians purchased a significant amount of property on Dorchester Neck. The following year the city of Boston annexed the entire 600-acre peninsula, at that time home to about 60 families. The speculators busied themselves improving access to the area by building a toll bridge across the channel to the South End. They also set about planning the orderly street grid that remains to this day, with Dorchester Street running north-to-south and Broadway running east-to-west; A through Q streets running parallel to Dorchester Street, and First through Ninth Streets running parallel to Broadway. Following the annexation, according to O’Conner, lots that had previously sold for $400 an acre were selling at $4,000-5,000 an acre! So begins the fascinating history of the peninsula residents call home. To learn move about the history of South Boston, visit the South Boston Branch Library at 646 East Broadway. The library is home to a treasure trove of historical materials about South Boston. The colorful past of South Boston is ever present. The area is a virtual treasure trove for history buffs and anyone curious about previous inhabitants and the events that shaped their lives. 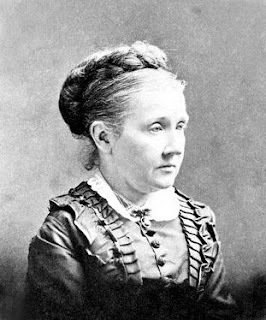 One of South Boston’s most illustrious residents of the 19th Century was poet and social activist Julia Ward Howe (1819-1910). An influential leader in the women’s rights movement, she lived in South Boston with her husband and children during the 1840s. Author of the “Battle Hymn of the Republic,” she is also credited for having spawned the idea behind the event we now celebrate as “Mother’s Day.” In her “Mother’s Day Proclamation,” written in 1870, she made an impassioned plea for women to band together to help end war.